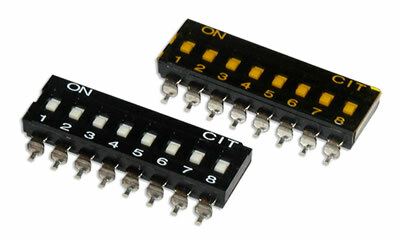 A DIP switch is a group of small switches in a dual in-line package. 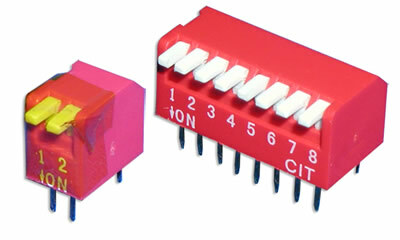 Often found on computer peripherals, telecommunications, remote controls for frequency settings and other electronic devices that need option settings! 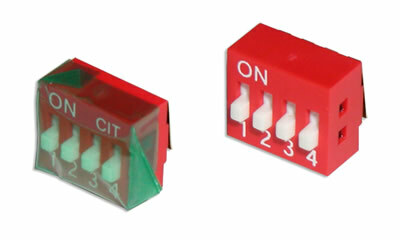 Dual In Line switches are used to change the operating mode of a device. 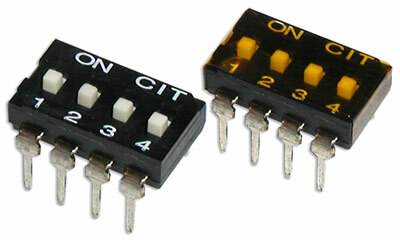 CIT Relay & Switch offers the low cost K Series family of rotary DIP switches with increased automation. 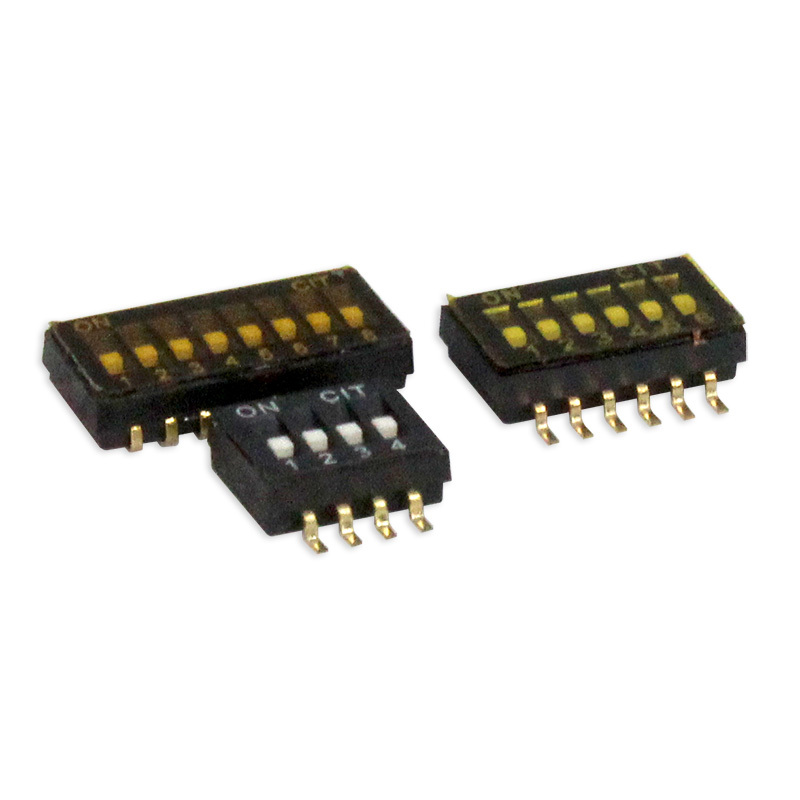 Offering both extended and recessed actuators, the K Series standard, half pitch, right angle, and low profile DIP switches are available in through-hole, Gull Wing and J Lead termination. Positions range from 01 to 12. 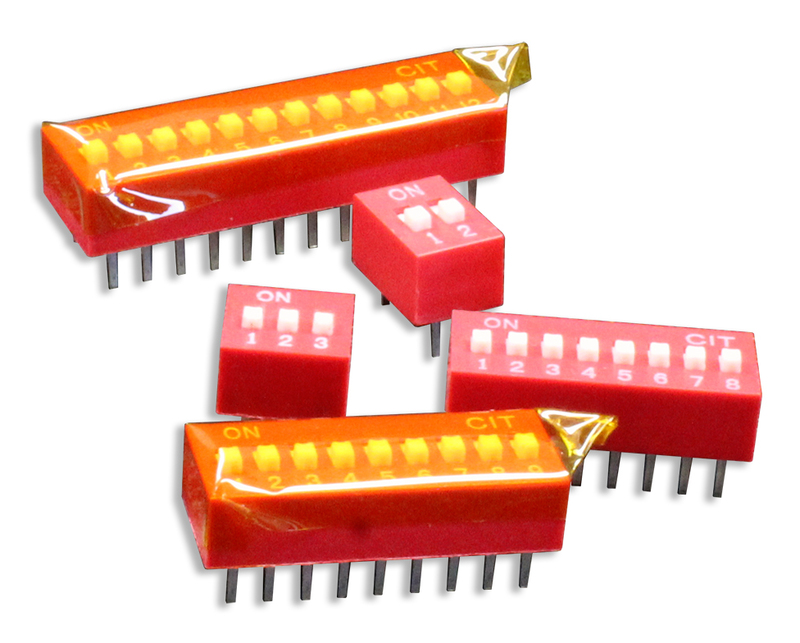 Most of the K Series family are compatible with SMT assembly and infrared reflow & automatic wave soldering. Packaging options include tape and reel or tube. Top tape seal is offered with the recessed actuators. 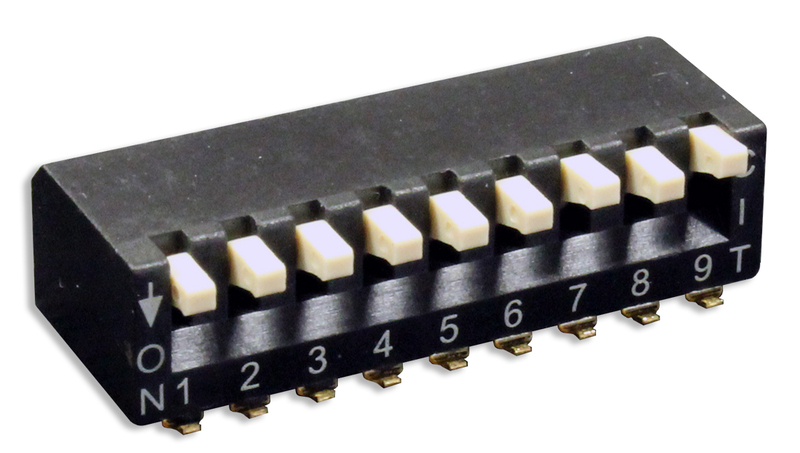 Explore our selection of dual in-line package switches, including coded rotary DIPs, .100 Pitch DIPs, and much more.